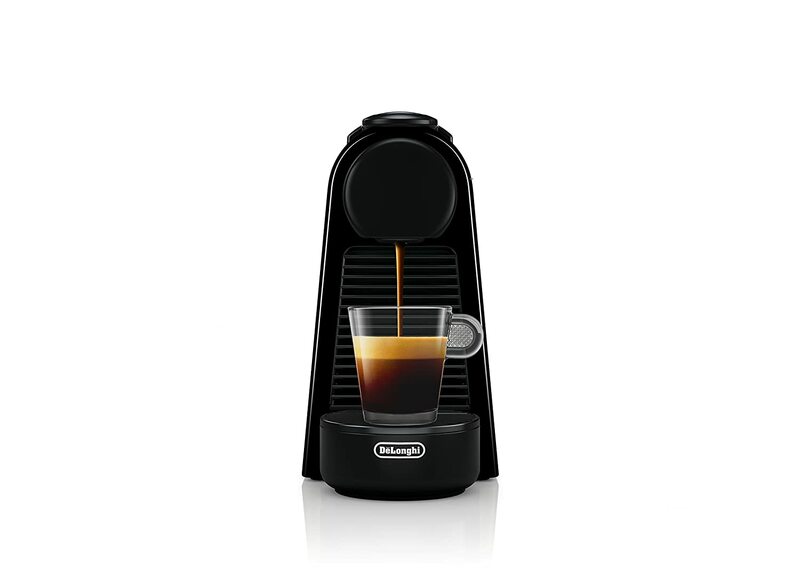 The Nespresso Essenza Mini Espresso Machine is made by De’Longhi, who also own the Kenwood and Braun brands. 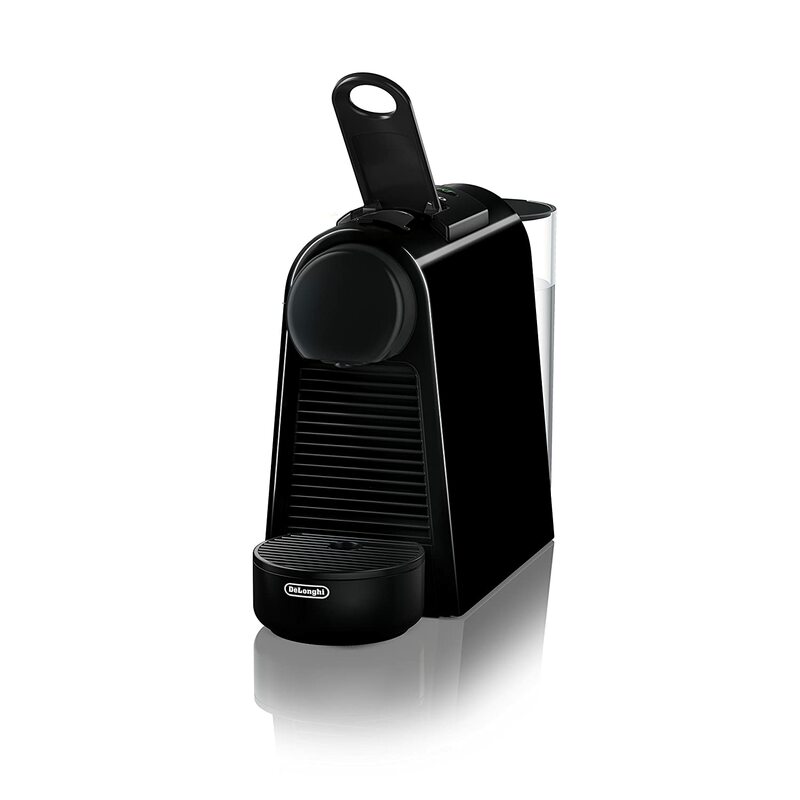 The Nespresso Essenza Mini Espresso Machine is made by De'Longhi, who also own the Kenwood and Braun brands. In producing this machine they have catered for those of us who want to enjoy full-flavored barista-style espressos. But also without the cost, learning curve and lost work top space that go with a regular espresso machine. Was this too ambitious an endeavor? Or have they managed to pull it off? With the separate milk frother these are two machines but, even so, the smallness of each of them is remarkable. You can fit this combination on any kitchen work top no matter how crowded it may already be. Being small and light in weight, they are also portable. Some people have used them for taking on trips away from home, e.g. boating holidays. But hidden behind its stylish looks, the espresso machine packs a powerful 19-bar high pressure pump. This gives it the qualities, abilities and speed of a much higher-priced product. The compact size inevitably brings a couple of downsides. The water reservoir, at 0.6 of a liter capacity, needs regular re-filling. And the capsule bin, with a maximum capacity of 6 capsules, needs regular emptying. But you still get fifteen espressos or five lungos and an espresso from one tankful. 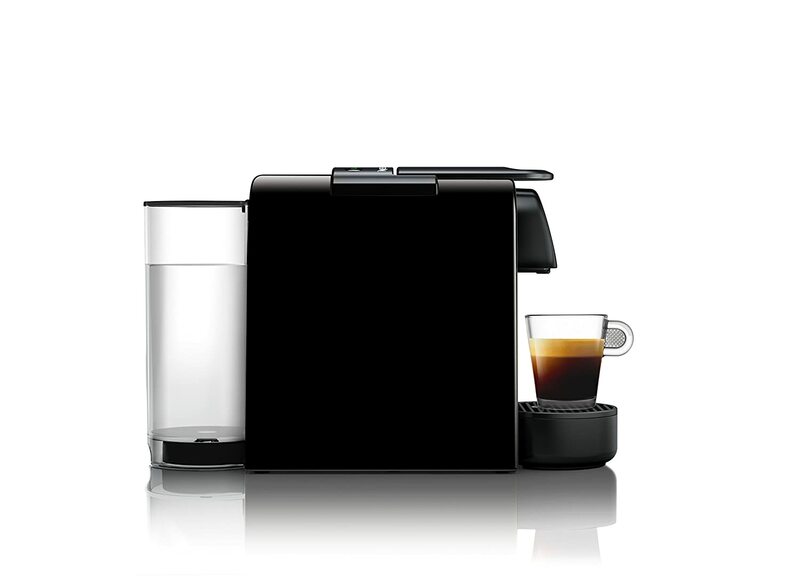 Nespresso boast that your water reaches the ideal temperature in less than 30 seconds of selecting the size of cup. That's how you switch it on, by the way. In a few more seconds your espresso is ready. The Aeroccino 3 milk frother is equally fast. The espresso machine gives a choice of espresso or lungo in size of brew. You can also use it to simply make hot water for tea, if you like that sort of thing. But the milk frother has its versatility too. As well as regular milk, it can froth almond or coconut milk, and even chocolate milk. You can also choose between frothing or steaming your milk, by adjusting the disk and coil inside. And it makes cold froth too. You don't have to stay with the Nespresso capsules. These are smaller than the popular K-pods, but even so you can get alternatives that are cheaper. You can even get refillable pods. If the standard sizes of espresso (40ml) and lungo (110ml) aren't to your liking, you can re-program the machine. Just continue pressing the appropriate button when filling your cup until it reaches the desired level. The machine will remember that measurement for all future brews until it's re-set again. Like all coffee makers and espresso machines, the Nespresso Essenza Mini Espresso does have its limitations. It's a single serve device, so bear that in mind if you're looking for a high volume espresso machine. One that can satisfy the needs of a large crowd in a short period of time. You'd be better off with, for example, a Mr Coffee Barista Espresso Maker. You can only make espressos and coffee using capsules of the correct size. You can't use loose grinds. And you may find that you have to remove the drip base to fit your mug in its allotted place. That is if it's anything larger than a standard sized espresso cup. Most users find that these caveats are very minor inconveniences compared to all the benefits they get from this product. This mini espresso machine must be one of the easiest of such machines to operate. To start with, the water reservoir comes away for filling really easily. You just lift the lid on its hinge with your fingertip and pull it away. Lift the lever on the top of the machine and drop the capsule in. 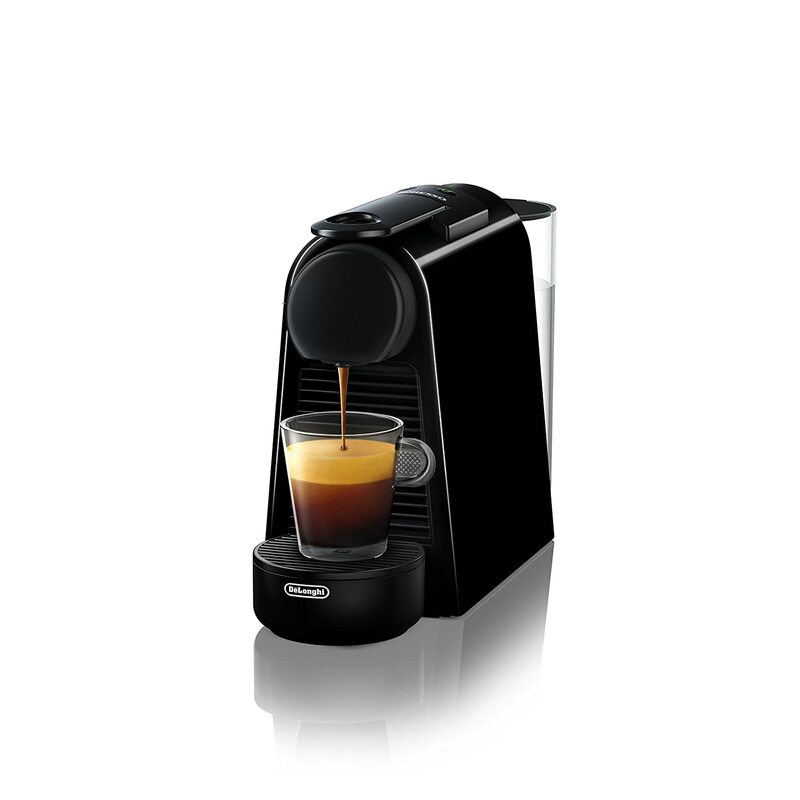 Commence brewing by pressing the 'espresso' or 'lungo' button, which flashes as the Essenza starts to heat the water. There's a useful energy-saving feature - if the machine remains unused for 3 minutes it goes into eco-mode, using less energy. And after 9 minutes it switches off completely. This latter setting can be toggled with 30 minutes to suit your requirements. And there's no need to remember which setting you have used. 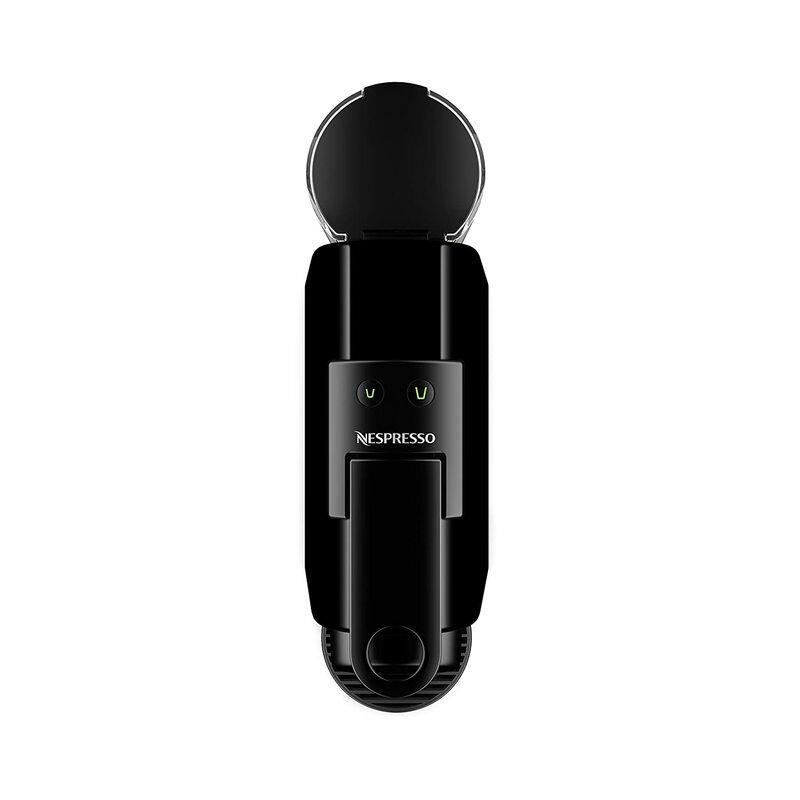 The espresso button single-blinks on a 9-minute setting, and double-blinks on a 30-minute setting. As for cleaning, there's little to worry about. Just rinse out the frother each time after you use it, including the disk and coil. The espresso machine only needs wiping down occasionally, and a periodic de-scaling. Full instructions are in the Owner's Manual. Here's a link to some useful tips on how to clean a coffee maker. There are a number of things that reviewers on Amazon.com like about the Nespresso Essenza. The compactness of the size, the sturdiness of the build and the ease of use and cleaning. These are major talking points, as are the quality of the espresso and the crema, especially among the men. The ladies also love how cute it looks and how much fun it is to use. And everyone appreciates the value for money in buying this duo. The Aeroccino 3 milk frother, if sold separately, costs around $100. There are one or two points of criticism. The lack of an on/off switch on the espresso machine can be confusing. But people soon get used to just pressing the espresso or lungo buttons to start their brew. Some users have commented that the water reservoir tends to leak. This is probably because some care is required in slotting the reservoir back into place properly after filling with water. So just watch that point. The price of the pods is another issue. But you don't have to stay with Nespresso's own pods, as we've already discussed. More than four out of every five reviewers have awarded the Nespresso Essenza a full five stars on Amazon.com. The average score is well over 4.5 from nearly 180 reviewers at the time of writing (April 2019). The Nespresso Essenza Mini Espresso Machine with Aeroccino 3 Milk Frother, as a combination, is difficult to fault. If you want the ability to give yourself and your guests a superb espresso experience, but have limited counter space…… Or you don't have the budget for a full-on barista-type espresso machine……. Or you don't want to have to learn how to use all the bells and whistles….. Then this is the answer for you.